Zendesk Chat’s live chat solution helps businesses increase sales conversion by engaging important leads on their websites. "Cuida a tus usuarios en tiempo real y aumenta las ventas." 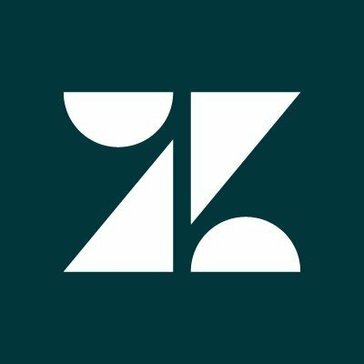 El chat de Zendesk es una herramienta valiosa para la mesa de ayuda. Permite proporcionar información y soporte a sus usuarios en tiempo real. Puede monitorear constantemente a sus visitantes viendo los activos, los inactivos y también los que abrieron la herramienta de chat en vivo. También puede ver sus referencias. Al abrir los paneles de usuarios que visitan sus sitios, obtiene mucha información sobre las páginas en las que se encuentran y todas las que han visto. También puede consultar su IP, el navegador que usan, su ubicación y otra información útil sobre sus dispositivos. Cada visitante tiene su historia. Si ya tuvo contacto con alguien, puede consultar fácilmente su historial de conversaciones al ver al agente y las transcripciones. La conversación puede ser enviada por correo electrónico. Algunas funciones útiles solo están disponibles para el plan profesional (seguimiento de visitantes y análisis de conversión). Si tiene otro tercero para monitorearlos, quedará completamente satisfecho con los otros planes. Le daría una oportunidad a este producto, especialmente si ya está usando Zendesk, ya que conseguiras dependiendo de tu licencia no sera necesario hacer un desembolso mayor. Por otra parte te recomiendo que utilizes la ultima version y configures bien como funcionara y como va a estar distribuido tu jerarquia de soporte ya que un conjunto de departamentos con pocos operarios soluciona mas problemas que un solo departamento con muchos operarios mal distribuidos. -Hemos conseguido solucionar un problema de saturacion de tickets ya que nuestro antiguo sistema no era muy bueno, actualmente con Zendesk hemos conseguido mejorar mucho la fluidez y el soporte gracias no solo a un sistema mas eficiente si no que tambien es facil de configurar al dividir todo por departamentos. -Hace que las personas se sientan más seguras con un producto o servicio cuando saben que pueden ponerse en contacto con un operario de soporte para recibir asistencia. The ease of use for this software is amazing. I switch between billing and support daily, and I use Zendesk chat for both. It is great being able to give customers a way to reach us other than having to call in on the phone. A lot of people prefer chatting because it is less time consuming as they can multitask when chatting. When I am doing work in customer Support, there is an option to take the chat that has been waiting for the longest. When I am in billing, someone from Support will notify me when there is a chatter wanting to talk to me in billing. I will then go in and cherry pick the correct chat from the queue. Having those two options of which way to take a chat is really cool, as the two different departments take the chats in different ways. It is also capable of keeping track of different stats. I can see what days were more busy than others, how many chats I've taken in a week, how many the company has taken as a whole, any trends, etc. Honestly, I don't have any dislikes for this software. It has been so easy to use and makes it easier to connect with our customers. When there are no agents on the chat, it will create a ticket for us to follow up on as soon as somebody goes online. It is helping us come closer to our customers, and giving our customers a more convenient way to contact us. The best thing about Zendesk is that it provides a very complete and useful tool to solve the problems of our clients through the web and using a simple chat that invites the user to ask their questions. It also seemed a great success the possibility of creating a bot that responds automatically to the questions of the users. Another useful feature of zendesk is that it makes it possible to see the user's information in real time, for example, it is possible to see which page they are on, which browser, IP, support history, etc. each user has. Through the zendesk dashboard we can manage not only the users but also the support staff managing roles, permissions or assigning them to different categories or levels of support. In this same dashboard we can observe the conversation histories, images sent by the support workers as well as the punctuation given by the users based on the help given and if the problem they presented has been solved. Most of the useful functions are only available for the licensed plan such as visitor tracking, conversion analysis. I also do not like that sometimes there seems to be a certain delay when loading the chat when the user has a bad connection. I recommend that you buy the most complete license since it has the most useful features and it is mandatory if you want to manage your site well, especially if you have a large website and a large support staff. We were looking for an application to support our customers through our web portal and find Zendesk Chat in its trial version, after trying it we decided to buy your license and until now we are satisfied. "Zendesk Chat a friendly tool for support your customers"
The application is not very big to have significant disadvantages but to say some it could be that, for example, when a user contacts with support does not say in which page is currently, if it could be used to assign this user to the most indicated department. I recommend Zendesk Chat if you are looking to provide support to your users in a simple way but that works well and at a fair price. Previously we used phone support but we understood that customers do not want to call by phone to solve doubts that simply need a short phrase or simply do not want to use the phone. "Take care of your users in real time and increase sales"
I would give this product a chance, especially if you're already using Zendesk. Amazing Support Chat platform. I use it daily to handle customer issues. The ability to craft the support environment to be transparent for team members to collaborate is a unique feature that really allows my team to work with each other to best support our Customers. The platform is RAM intensive on the hardware side, have noticed some latency issues when using a laptop with 8GBs of RAM, this has been reported by several of my peers as well. Only seems to be an issue when 3 or more chats are going simultaneously on one machine. Didn't notice this occurring on a laptop that was beefed up with 16GBs of RAM. I am solving website and server issues for a hosting company. Our customers are easily able to communicate with the support team and share what they are experiencing through drag and drop capabilities with screenshots and text files. The customer is easily able to pass any vital info to the tech through these methods allowing our support team to more quickly pinpoint the issue and reach a resolution. "Modern way to communicate inside/outside of the organization. " What I like about ZenDesk is that it has many tools and options. I like the fact that you can connect with other people, internally and externally. As well, I like that I can customize my notifications. It integrates with much other collaboration and the office tools I use. It is amazing the ability to communicate via text easily and the chat transcripts are immediately sent to our email. What I dislike about ZenDesk is that it is quite expensive. For a new user, I can tell that it has too many features that may cause to be confusing or that it might feel overwhelmed. It would be negative (money-wise) if you use this for a couple of groups, but if this is for an organization, it is really worth it. Another thing I dislike it that at the beginning, ZenDesk only provides 3 accounts. If you want more, you would have to buy them. I really recommend ZenDesk App for organizations that communicate a lot and have LiveChat customer service. There are many other tools that might do the same job as ZenDesk, but they might not offer you the feature ZenDesk does. I have used ZenDesk for quite a time, and even when there is an outage, we get notified and they try to fix the issue as soon as they can. I think ZenDesk is doing amazing. ZenDesk provides the ability to communicate fast. It is a great team messaging application with several settings you can customize and different options. Our level of communication has increased thanks to Slack. I communicate not only with my team but with other teams within the company. I like the analytics shown by Zendesk. It allows you to break down specific agent information which is helpful. You can check each agents statistics very easily. I also like the fact that it has triggers, which makes reaching out to specific clients a lot easier. I like that we can see who is currently online. If we needed to reach out to a customer, although it may be odd, we can. Honestly, there is not much I can say about what I dislike. If I had to come up with a reason, I would say that the way the chat looks on our client end is very simple. This may be something we can change the look of, but that is not something I am aware of. Another thing that came to mind is the way chats are exported. It seemed very difficulty to find specific chats when exported. I would recommend adding in better export options. The current option makes finding a specific chat a little too difficult and not worth it. This is not something we would use a lot, but would be nice to have in certain situations! The company is basically ran mainly through the internet, so we rely on clients being able to chat with us to ask questions, verify new account, etc. Without a chat option, we would most likely have to rearrange a large portion of our tasks. Zendesk Chat has been an amazing experience with customers and employees. It allows for quick and easy communication among a business and its customers. Zendesk has many options with chatting, including the sounds of the chats coming in! Nothing to complain about here. Zendesk chat is amazing in the flexibility and ease it brings to the customer and the company. With this efficient product it is hard to not have your customers flocking to you for help with there problems, thus providing the best business possible! The biggest problem our business has seen solved is the flow of customer communication. From 100% calls to helping more people at one time and having over 30% of our customers contact via chat, it's been amazing. "From Pure Chat to ZenDesk Chat "
ZenDesk chat is extremely intuitive and also links directly into your ZenDesk console if your organization uses ZenDesk for ticketing and client communication - that makes logging things easy as 1, 2, 3! Like many other live chats, ZenDesk is easily linked to your website. Like general ZenDesk, there are sometimes glitches in the system which can be frustrating when you rely on the product as the life breath of client communication. Other than that, it's a pretty straight-forward, yet dynamic and solid chat system. Definitely use the ZenDesk community. It is such a good resource and you can even suggest new features/changes and the community will vote on it an ZenDesk actually acts on it and takes it very seriously! ZenDesk chat has reduced inbound calls and provided us with an opportunity to connect with clients in a new way while still providing the prompt service that is expected. A lot of companies are ditching live chat and using answer bots instead, but some situations really need a live person on the other end and ZenDesk chat is perfect for that. Zendesk Chat is a very practical chat tool that not only properly notifies you when you get a chat, but I love that it shows you who is active, who is IN a chat, who is "Away"; it also shows you the statistics of how many chats you have received throughout the day. It would be awesome if the Zendesk Chat tool would have the option of having a chat bubble when not in the chat tab. But besides that, I am very happy with it. It is great for any company that uses chat support. Very stable and has never given us any issues. It is very easy to use and it is great at notifying us when we get a chat from a client. Work is made easier with it. Also, the app is amazing. Very useful. "Excellent experience for customer and users "
You can create different departments or areas for all the users. Actually a few things, sometimes you cannot change certain configuration just the admin, those things as a user make sometimes a little difficult to change settings when you need them to be changed at the time. "Amazing Way Chat With Support Team"
I like that you can add attachments from the chat window right away so the support agent is able to have photo/documents to help resolve your problem. I also like the entire chat can be emailed to you at the end of the session. You can also open the ticket from the email you receive to add more information to the claim. I sometimes have problems getting the chat window to load. Although it seldom happens, it has happened at crucial moments where I needed to contact support right away. I checked the internet connection and it was fine. I just couldn't connect to Zendesk. Make sure users know how to log in to view/manage their tickets. It's extremely helpful if they log in to add info instead of contacting support again and opening a new ticket. Zendesk makes it easy to get support, even though my support team is in the Philippines and I'm in the US. They are able to offer me support, no matter what. It has made managing tickets so much easier. I love it. "Best live chat customer support platform"
I and my team loved the dashboard of zendesk as well the best thing is that the report of visitor is quick and accurate. We love to talk with our customers from website. We have some dislikes like they don't offer flexible pricing for small businesses. I and of course my whole team will recommend zendesk chat to every company who like to have their customer support team to be very active!! Using Zendesk, we help our customers get the best support from our side and company. We are having a lot of benefit like we are now able to connect with our customers directly and that too without any delays. We use zendesk for our support team to better help our customers. It's a great tool for when our customers chat in with issues and we can quickly resolve them. We use the response time on chat as a major KPI for our business as well. It's also integrated with other systems we use, so it makes it easier and more aligned for us. We like using Zendesk! There could be more automation incorporated into the product, but, overall, it's great! It really impacts our support to our customer base and allows our customers to contact us they way they want to. It's really necessary for our business. "Effective, Especially with Zendesk Customer Support"
I prefer a one-stop, all-inclusive program to track communication. Using the chat feature in addition to the support feature on Zendesk allows me to help our customers on multiple outlets and to know who on my team is helping each customer. There really is nothing to dislike about this. We did try it separate from the support feature some time ago, and I did not care for that. From what I recall (and this has been a couple years), it was hard to figure out and several of the features did not work how we expected without the support. Go for it if you are using or planning to use Zendesk support. The two programs were made to work together, so they work together very well. We have not had issues with the chat feature since we started using the full program. We did have all of our customer communications on all different platforms, and it was next to impossible to track who was covering what. Retrieving chat reports and transcripts was just too tedious and time consuming. "Zendesk Chat: My take on the helpdesk titan"
Zendesk chat is very easy to use. You just need to sign up, copy a piece of code onto your website and you're good to go. It has nice options wherein users can edit their own name, export a chat protocol and the widget can be moved around on the site. You can also add your operator's photo for a more personal chat experience. It also has an offline mode where you can be hidden when offline or be used as a data capture form. The console offers a range of useful features in one place. To chat either use their console or your preferred IM. The only thing that didn't work so well for our workflow is Zendesk Chat's idle settings. The general idea is that the chat client goes offline when you are away from your computer, which makes a lot of sense. However, a browser app is not able to track your activities outside of the browser window. Therefore it also goes idle while you are working in other browser windows or programs. There should be a warning sound or signal as other tools provide. Switching off the idle mode is the only real solution to this issue. Zendesk sets the standard for live chat solutions. Prices are attractive, too. Highly recommended! When it comes to working in a team, departments can be setup up so that the user can choose accordingly before the interaction starts. You can also transfer the chat to another agent. "Great for reporting, not so great on the customer's experience"
I love how robust this thing is. The chat module can be completely customized with color, size, questions, etc., and you can have it only appear to select groups (which can be connected up to salesforce to determine the right groups). It works really well for our tickets and to be able to disposition out our tickets to go 3-4 layers deep into why they're actually chatting in. The reporting is incredible as well. If you're connecting Zendesk up to a BI reporting tool, their API is very robust, and you can pull almost everything that you can dream up through it. The two things that haven't been ideal are the setup required and the customer's experience. This requires an enormous amount of time to setup correctly (months). And unless you have a technical in-house team, you'll be paying a lot money to Zendesk for pro-services (they do have a lot of good crowd-sourced help-articles online which definitely helped). The second was this definitely feels like a tech-support tool. Some might say "well duh, that's what it is." They're right, but the UI and feel of the chat could be better to create a better experience for the customer. When you don't have chat agents online, It doesn't feel like a conversation, it feels like you're creating a ticket that will get looked at soon. Have a techincal in-house team. Customer support and technical services. The customer service! If I ever needed assistance, I was actually excited to reach out to them to have my problem solved. They always made sure they helped walk me through everything before the conversation was finished. Everything seems to be up to date, never buggy and they always listen to their customers. If we make suggestions, they listen and don't ignore what their customers are asking for! The price you pay definitely reflects in the software! You have to pay more for the better features. While it doesn't burn a hole in my pocket personally, it would be nice to see that for one solid price across the board, everyone pays the same price for the same things. As far as the Roles and Permissions, creating roles or permissions for other users is limited. Being able to have more control over who sees and accesses what would be great! Sometimes, when a chat ticket is put in, it takes a while to process. Sometimes, it will crash kicking the user out, having to start the conversation again with another agent. If it doesnt crash, it will take a while for it to come through to our end. This function has allowed us to create online live interactions with our customer base and website visitors. It was very easy to install and works well. The customer service in helping us pick a solution was very poor in response time and was initially provided bad information. It is a great product and was easy to implement. Make sure you are specific in what you are looking for so they give you the correct trial program. Also, utilize the trial to make sure it covers what you need. Reaching out to our customer base while they are looking for solutions on our website. Zendesk chat, it is in the name, zen. Using this product to communicate with clients is a dream. It's quick and the analysts are an awesome feature. I like to see where my chats are coming from to better suit our customers since we are a U.S based company and currently don't offer overseas shipping. Many of the features avaible I've not seen in other customer service based programs. I don't dislike much about the products. I think if I had to be picky and say something I didn't like, it would be the color scheme. Zendesk chat is designed for chat-based customer service. So I'm assisting customers quickly without long wait times, and much more effectively. I can handle the problem without much small talk or dead air, which can often put-off a customer. 1. It's easy to use, the user interface is minimal and straight to the point. 2. Real-time supplier tracking i.e the number of active suppliers and idle ones. 3. Shows the visitors currently on the site with all basic information like the country they are, OS they are using and if it's a returning visitor. The smartphone app needs much improvement, it does not send notifications real time when the customers are online, I have to manually refresh the app for it to work and show me the chats. I would highly recommend Zendesk to any SME or a big entity especially businesses in the tech industry. Zendesk is efficient and convenient to use. We have seen a reduction in the number of tickets we have been receiving since we solve supplier issues when they get in touch with us through chats. "The chat feature is very useful if your users are accustomed to use Zendesk knowledge"
I really like that you can convert chat into tickets, get feedback on the quality support and provide users quick help. What I don't like is that Zendesk chat cannot be embedded in Salesforce (which is the software our users do their work in) and that the user has to go to the knowledgebase to start a chat from there. I understand that zendesk support is in competition with Service cloud (Salesforce) which is why this problem exists but its definitely a hurdle. Additionally, it would be great to have a zoom/webex integration in chats so we can begin screenshares/ meetings immediately. We are trying to provide quick support to users on business process questions and add a more personal touch. The upside has been that user satisfaction has increased, they are more empathetic with the customer support team and the resolution times have gone down. The chat service is easy to use and makes communication with multiple customers at a time a breeze. Chat logs migrate seamlessly into the Zendesk ticketing system so we have a good history of chats with customers. We are getting good insights into our chat metrics with the real-time monitoring so we can see live chat volume, agent performance, and visitor experience. "No reason to use anything else with Zendesk Support." Support tickets are automatically created from chats, greatly simplifying the process of escalating a chat conversation to a ticket. This keeps our processes for escalating issues to specialist teams straightforward. Lots of options for triggers and user management. The built in analytics are good, and you can export a lot of data to CSV to do your own analysis. Good API access. We can also see everyone currently using the site, and reach out proactively. I'd like to see more options for controlling the availability of the widget. For instance, temporarily shutting down chat (maybe for an impromptu meeting, or fire drill) requires adjusting the business hours of the department. Also, it's not possible to automatically disable chat (pushing requests to email instead) if the online agents aren't able to keep up with the current demand. Integration with Zendesk Support isn't all the way there—there's no real distinction between visitors and conversations when it comes to tagging. Macros are not shared. Chats do not match 1-to-1 with tickets, so there can sometimes be problems if a person's second or third chat within a few hours needs to be escalated. (The ticket will be assigned to whoever handled the first chat of the visitor's session.) I expect this to get better in the future, as it's frequently updated with new features. If you're using Zendesk Support, I definitely recommend adding Chat. We have Zendesk Chat on every page of our product, so support is always a click away. We handle hundreds of conversations through Zendesk Chat each day. We use the reporting features for planning schedules, new hires, and better self-service resources. - I like that I can see how many people have clicking on the chat box, are currently chatting, or are currently logged in. - Sometimes I am told that my username/password is incorrect when I"m logging into the chat from my Zendesk account, but when I go to the actual Zopim/Zendesk Chat website, I am able to login no problem. This is a huge ongoing problem. I would give this product a shot, especially if you're already using Zendesk. It has some bugs that need to be worked out, but all in all it is a pretty good product. Since Zendesk and Zendesk Chat are linked together, it's really easy to create tickets, solve issues for users, and communicate well with co-workers regarding current chats. Zendesk chat is so easy to use and to learn that it makes train a new colleagues a breeze. I love all the features it offers as well as the implementation of the system. It is easy to use on a desktop, laptop or cell phone. The knowledge base is also VERY easy to use and add to as needed! We also enjoyed how other platforms can be integrated into Zendesk, specifically the knowledge base. I hate how you can't have the round-robin feature unless you're a higher subscription type, also some of the reporting was hard to find when new to the system. Also seemed like some of the reporting was not correct or valid. Within Zendesk chat were able to train an Implement using chat very quickly. It's very user-friendly and easy to learn and use in the fast turnaround time. Everyone was able to fully see the chat process and implement very quick. There were no bugs or issues during implementation. Having ZenDesk Chat in Zendesk is great! I can look up issues in our ticket archive with out switching windows. Right now users can come in and not give us a name or email address. This makes it hard to find their account. Sometimes if I don't have my head phones on and I'm looking at my other monitor I will miss a user who was queued for me and it will pass it to another rep. I would recommend going a head and trying it out. I don't think there is anything else I'd want from a chat program, especially if you are already using Zendesk ticketing system. I really don't know why it took us so long to move over to ZenDesk Chat. "Great product for my team! " There is very little wait time for customers because of the ease of access and information we can see on each incoming customer. It makes it very easy for our team to quickly handle the chat and since we can see the clients information so easily, we can more quickly and efficiently assess and solve their reason for chatting. We also enjoyed the free version we could use until we decided whether it would work for us or not. We are a smaller business and so the free version has worked very well for us so far. But we always have the option to upgrade easily if we want access to more features. There isn't much to dislike especially because it is a free version, you can't complain too much. However the only thing I wish was that there was more chat history available. It seems to delete or disappear after a certain point. Some of the analytics are not available on the free version, but again it is free and those are available if you wanted to upgrade. For free it can't be beat! If you have a larger company or are in need of some of the upgraded features, the program can be upgraded to a paid version, but definitely work the value and it has greatly improved customer relations. Better customer service and quicker response times make it so clients are happier and it is a big selling point for new customers. Gives a more personal touch and makes them feel more valued which in turn leads to loyalty. "Quicker & Multiple Ways to Connect"
I love that I can multitask within this system all at once. I am an employee who will assist a customer, check emails & seek support from my colleagues. At times when it is peak season, it can be overwhelming to keep up but nothing with the system or product itsel. If you're a large company that experiences heavy call volumes and most of your clients are frustrated from being on hold with small, simple requests, then I highly recommend using Zendesk. It's a great way for clients/customers to connect with the company without spending too much time holding on the phone & can do so from anywhere and with great ease. Clients who are stuck in destination or at the airport & need to make changes to their travel plans. Saves time from clients being on the phone or spending more money on international calls. "Zendesk Chat is real-time communication." Zendesk Chat is a platform designed to measure, has the necessary functions to offer stability and different forms of communication. Also, it has the function of sending a notification to a manager, for when a consumer sends for said Chat, this completely renews the communication, makes it more consecutive and without interruptions, to be able to respond in the appropriate time. The premium plans have an accessible prize, however, the benefits they have are not something to exaggerate, I would like to place functions that make the difference. It is very easy to access, the zendesk chat is incorporated in many web pages, it helps the total development in every minute that is used, it also allows to send different images to make the chat more diverse. You can integrate Zendesk if you really need an answer in seconds. Virtually with ZenDesk Chat each consumer can have an answer to their questions in a matter of seconds, also, can engage in a conversation with a manager, without waiting so long, or leaving a doubt, and receive a response in a certain time, are functions that perfect completely the group communication. I consider Zendesk Chat as an excellent platform to supplement communication. Its features are correctly pleasing, through this platform you can offer a support service in real time and a brief communication, without any type of interruption and in such a case that an interruption occurs, there is a way to recover the Chat, it is fantastic to be able to offer support in a chat where different files and different links can be sent. I can only complain about the price of premium services, I see that they are prices that at some point do not help any person, and it would be more influential and much more help to offer lower prices, with the possibility of payment in parts for users. It is very easy to use, it does not require previous knowledge regarding the functions it handles. The best thing about this platform is that it offers the user the possibility of using it without any experience, and in the same way to provide great results in real time. Being in the Zendesk Chat, influences an impressive improvement, exponentially improves interpersonal communication, allowing the consumer to have an answer to their doubts in a shorter period of time and also helps different people to use different functions on any platform . This is an excellent tool for web-based businesses, Zendesk chat offers the option of keeping all new incoming chats in a queue and notifies the customer that an agent will be in touch soon, I love how customers need them help can send files, this has been useful for screenshots of the problem they are having. This is ideal for current clients who need assistance, potential customers who ask questions and technical assistance. I only wish that some of its more premium features can be included in a less premium package, being able to customize the features you need. In general a great software for us. Easy to make it scalable to our growing business, never leaves a customer hanging and great visibility on website. It is especially good if you also have Zendesk, so you can integrate them both and offer a unified experience. Consumers buy impulse every time, so when making a sale, you must get them at that moment. Without zendesk live chat, you usually have doubts waiting for the return of an email. It also allows a group of people to be on the platform without any problem, I have never had a problem or something like that, which is great. "Excellent Cloud App for support and live chat"
The best thing about Zendesk is its integration with e-commerce platforms without the need to know programming languages. I do not dislike the application at all, however, I would like it to have much more features for the same price. If you need a fast solution for your website and your customers, chose Zendesk chat, you'll get it really fast and installing it is very funny. I've solved doubts of my clients and I have supported them in an interactive way at the moment they need it through the chat on the website. "In my opinion it will be my first priority for this area of chat"
The software is mainstream and does what you would expect from a chat function. It allows you to chat to potential customers and answer queries from existing ones. It is hard to describe the systematic approach to customer services. We've had three problems, one where we lost two customers because of a bug. We were told it was our fault. An internal email about us was accidentally sent to us, revealing how Zendesk really operates. Anyone can make a mistake but it is a system and other users have voiced similar concerns. Great software companies love their customers. Things go wrong from time to time, and you should judge people when these 'moments of truth' happen. Zendesk are systematically a company that, although it espouses customer services virtues in its products, views its own customers as an inconvenience. A leaked email to us shows this. If chat and helpdesk is strategic for you, stay clear and use a competitor. We're switching. Winning business and solving problems faster. "Zendesk Chat looks great built into our platform and it's so easy for us and our users to use!" I like being able to easily look back on chat history and to tag chats in the moment. That way we can see what our customers want to chat about most often. I tag chats with labels like "how to questions", "bug", and product categories to figure out what people need help with the most. I also like the sound and popup desktop notifications when a new chat comes in so I never miss one! I can't think of anything to dislike. Works great for our purposes. We are able to quickly answer questions via chat instead of going back and forth via email for hours or sometimes days at a time. I love being able to solve customers' questions as quickly as possible! "Chatting with clients is fun!" I really like the user interface! It's very easy to use and understand, quite comforting to my eyes! You can also easily review chat history and see CSATs and DSATs. The only thing that I don't like is, sometimes the sound notification when a chat is available does not work which cause a missed chat. This is the best chat! The business problems that I am solving with Zendesk Chat is for general inquiries. The benefits that this chat brought is that our players do not need to check FAQs as we can already answer them from there. "Efficient , user friendly Live Chat Software"
Undoubtedly , one of the best live chat support software . It gives our company the ability to chat live with customers since we do not offer inbound/outbound calls for support.One can easily configure the chat box from the Zendesk site and use the code to set it up on the website. Zendesk/Zoopim is almost a complete Live chat software .There isn't a way to force the customer to answer certain questions prior to entering the chat. The chat transcripts sometimes take very long to show up in the chat history . Managed all of our customer support through one platform with Zendesk has made our support team very efficient. App- I want chat history to populate on app, so i can see location from mobile (can influence my answer to offline messages) I'd also like the page the customer was visiting to populate in offline messages- if the last thing they did was click the chat screen it's not helpful in the email, and I can't look it up from the mobile app. Most of my problems are with mobile. I work for a smaller company, and am really the only user so the mobile function is very important to us. "Zendesk Chat is very helpful in reaching people and businesses"
I love the fact that you can interact with customers and businesses who have questions and concerns about anything. The platform is great and if you need help with anything there are plenty of tutorials on every concern you have. It is best to take advantage on a trial basis in order to get a feel for the service instead of jumping in head first. Right now- there is nothing to dislike as we are in a trial basis for our business and we are testing different programs to see which one fits for our service the best. If you want to engage more with your consumers and businesses- Zendesk Chat is most helpful in getting deeper experiences with people out there. The platform is easy going and great to maneuver around and there is plenty of help out there to get you started- even if it is for a trial basis (which we are using at this time). The business problems that we are solving with Zendesk Chat is to have more interaction with the customers and businesses out there. The platform provides quick responses to anyone that needs help or have concerns with our services. The benefits are endless at Zendesk and there is little room for you to go wrong- especially when there is tons of tutorials and help on the platform. "Optimized, Light, and Great at Delivery! I started out with Zopim and on it ever since." The setup and start. One can easily configure the chat box from the Zendesk site and use the code to set it up on the website. Definitely one of the best on-site chat tool when it comes to connectivity to your mobile device. I've used other platforms but they seem to lose signal and the connection between mobile data devices is terrible. Nothing in particular. I'd say, they can offer better packages at current price points. Even though one can get better pricing with Zoho Sales IQ, Zendesk offers more options to tailor the chat window and how you interact with the customer. Enabling chat feature for people who come on the website. "Good Chat Tool, but Could Use Improvements"
It gives our company the ability to chat live with customers since we do not offer inbound/outbound calls for support. I like that there is a shortcut within the ZenDesk view itself so you don't have to leave the screen if you are answering tickets. But also, the Chat page has a decent amount of information, like viewing current users online, what pages they are currently viewing, their last login, where they are logging in from. There isn't a way to force the customer to answer certain questions prior to entering the chat. This would be helpful when you're assisting with specific (in our case) events. It would also be good if you are able to incorporate shortcut to links from a Help Center as you are on the Zendesk ticketing system. If you're already using ZenDesk, Chat is just the next step in allowing you to communicate with your customers. It's a good tool to have. Allows you to speak directly with a customer when you do not provide phone support. It gives customers peace of mind if they can get an answer immediately and talk to a live person. It's great that Zopim has become Zendesk Chat and Zendesk has this product streamlined with their other offerings. We love that it's integrated into the main Zendesk dashboard and that it creates tickets for all chat conversations. It's also very helpful that we're able to pull up past customer interactions when possible. Would be helpful to be able to pull in more information if possible with apps. For example, we'd love to be able to see Shopify orders related to the customer with links (similar to the view in tickets) for easy access. Additionally, since we mainly using the main Zendesk dashboard, it's difficult when needing to make changes specifically to Chat since you have to open Chat in a separate window. This is often confusing and not intuitive when updates are needed to be made. Most useful if using other Zendesk products. Zendesk Chat allows us to have a instant and accessible channel for customers to communicate with us. We encourage our customers to engage with us as much as possible (especially since our customers are making big, well researched decisions on their style choices and dorm room needs, and are very new to the products) so we can guide them and make helpful recommendations. It reduces any friction by allowing customers to comfortably ask us questions they want answers to immediately, as well as generally create relationships with them. "Perfect tool to easily help your customers"
We have been using the Zendesk chat application for a few years now and the overall experience is great. We have implemented the chat in our websites in order to customers to contact us on a live channel while purchasing in our website without being distracted (having to write a long email or wait on the telephone) and the results are very good: customers are happy as their queries are solved in real time and business is growing as more purchases are completed. Going into details, Zendesk Chat have a very complete Dashboard in which you can monitor the visitors on the website that have open the chat widget , the agent performance (if agent is busy at the moment, how many chats have taken). Zendesk chats have many parameters that allow you fulfill your business needs. My favourite setting is the chat rerouting that allows you to make sure no chats are missed. You can add skills to each agent's profile so chats will go to the agent that manage the language or is an expert on the client's queries (product information, online shopping processing, it issue). From the agents perspective, it is also very easy to use as you receive a pop up window and a sound when a chat arrives. It is also possible to create templates for the greetings or other information that is used often. The only thing I would improve is the report tool as it is not possible to have clear download of the data for some of the sessions that can allow to do quality checks on agents. For example, the individual agent report, on the agent breakdown should be more user friendly . "A popular Web chat software"
I like it's easy change history management with tagging facility. We can compare from chat history of any specific visitor it means a pure behavioral tracking for returning visitor. I tag the chat conversation with specific keywords like sales , advanced feature requested , bug complained , training session requested etc. I am not able to see anything bad here, that's why I am giving this software 9 out of 10. Zendesk chat i.e our old Zoopim s a perfect app to engage our web visitors and have a real time interaction . It ultimately helps our branding strategies once they interact through their social media tools. Zendesk chat gives us the advantage to interact with visitors in the real-time . We poke/ encourage our visitors with our best possible pitches , well researched decisions. It reduces frictions and let the customers ask anything they want . "Works well, makes customer interaction easier"
"It's an DECENT Chat Support Tool"
- Automatic sync up of chat transcripts to CRM would be AWESOME. Right now, we copy/paste it like we're in the 90s. We're also using Intrecom and not happy with it's reporting. I've personally used Drift which is headed in the right direction but don't have the authority to implement it in the org. Guess ZenDesk could learn a bit from Drift on their UI and integrations side to make Zendesk's UI more modern. - Supporting users and answering questions of online visitors. "Zendesk Chat - Great tool for answering customer queries and handling chats and for support. " Its a Great tool for answering customer queries and handling chat and email for support. We have used this tool for Cricut company and it was a great tool to handle customer queries and issues about the product and software. It used to get difficult to get support when we had outages. had to wait for team to get back and answer and fix issues in the product. Its a great tool to handle chats. We have used to add banners when we had huddles or outages in the business and softwares. It has great analytic tools to get the data for months and years. Very effective for customer support. I really enjoy the reporting aspect! I like how you can see how many calls people take compared to how many you made. I also like when someone responds back it changes the color of the ticket so you know they responded. I do not like how the leftover tickets do not send everyone a warning that someone responded. Made it easier to know when someone responds back to your email instead of always have to check and see if they responded. I also wish you could un-send an email if you made a mistake or a mispelling. A way to communicate with customers and other business parters. * We monitor all Zendesk Chat reviews to prevent fraudulent reviews and keep review quality high. We do not post reviews by company employees or direct competitors. Validated reviews require the user to submit a screenshot of the product containing their user ID, in order to verify a user is an actual user of the product. Hi there! Are you looking to implement a solution like Zendesk Chat?